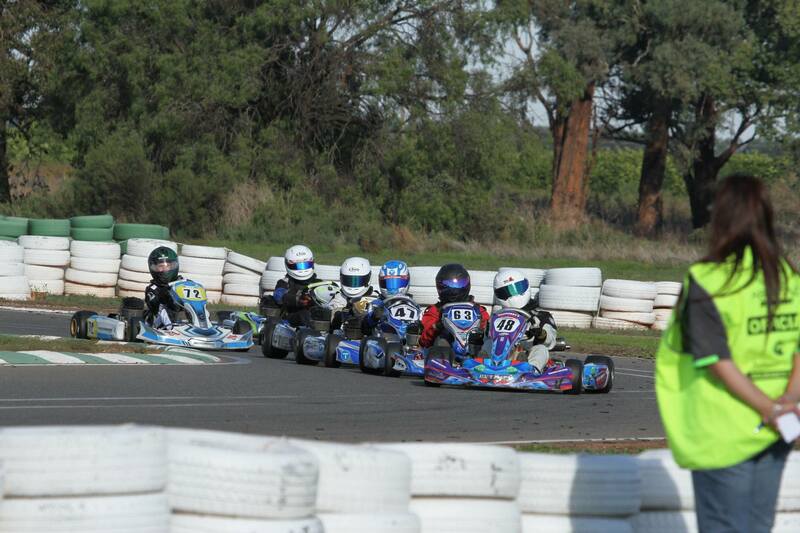 Junior must hold a minimum ‘B’ Grade junior licence. Lighter Junior Drivers may use a 28mm chassis with 30mm front cross beam (28/30) and a 30mm or 40mm rear axle. Senior drivers with more weight might choose a chassis with 30mm tube and 32mm front cross beam (30/32). With either 40mm or 50mm rear axles. Depending on the height of the driver a wheel base of 1030mm or 1040mm is available. 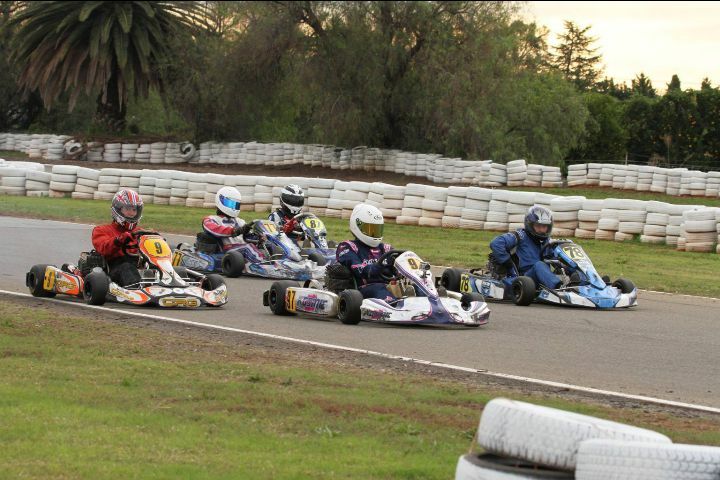 There are many manufacturers of this kart class, you can choose from Arrow, Deadly, Monaco, FA, CRG, Tony Kart, Kosmic, Ricciardo and many more. 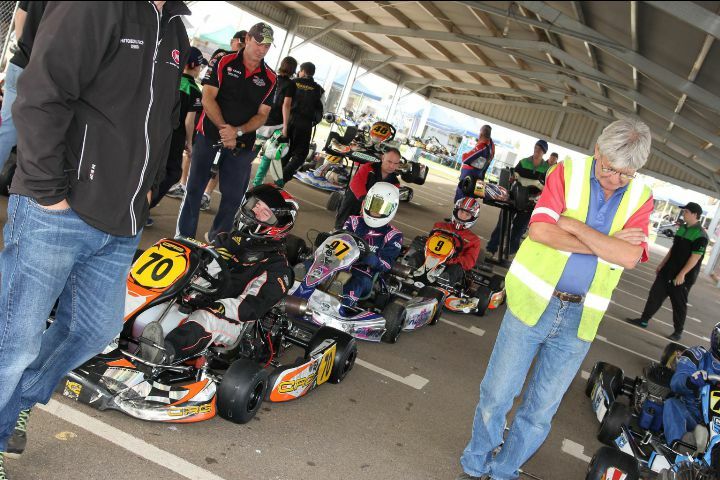 We suggest you look for a brand that is commonly raced in the Griffith Kart Club, this will ensure availability of spare parts and advice from other experienced club members. Please make contact with the Kart Club as we can put you in contact with members that will have experience and can help you make a choice. Most competitors in this class use the IAME KA100 engine unrestricted. This will provide the best performance and reliability. The class can use the YAMAHA KT100SEC, KT100SE, KT100SD subject to technical engine regulations. On track performance has shown the IAME KA100 is a superior engine with better performance. The IAME KA100 is the preferred engine to be used in this class with better maintenance, reliability and re-sale values than the older Yamaha engines. 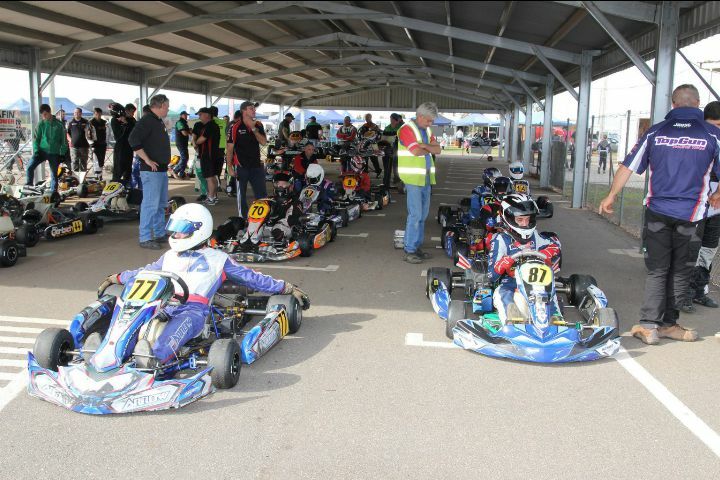 As per Karting Australia 2016 rules the following tyres are to be used in this class.For dry weather use Bridgestone Dunlop DFM, Front tyre size must be 10 x 4.50 – 5, Rear tyre size must be 11 x 7.10 – 5. Wet weather tyres are Bridgestone Dunlop KT14W13 Front Tyre size must be 10 x 4.50 – 5, rear tyre size must be 11 x 6.50 – 5.